Jewdar has learned to approach DC movies like a mistreated dog approaching hand offering scraps of food. Sure, there’s a good chance that I’ll end up getting kicked, but that slight chance that I’ll get a piece of a hot dog keeps me coming back for more. So we went into Shazam without great hopes, and we left….satisfied. The movie stars Zachary Levi (not a Member of the Tribe, but yes that is Adam Brody–aka, Seth Cohen from the OC— in the second half of the film). To be sure, the movie has its flaws, and not just because it was geared for kids (that, to some extent, added to the charm). Yes, it was a bit like an extended Power Rangers episode, and there are a few too many adorable multi-racial orphans, but once you move past that, it is able to do what so many DC movies have failed to do–be light, fun, and straightforward. 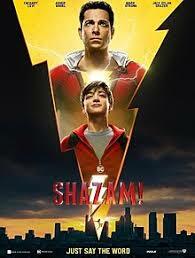 They did a good job of taking the classic story–Billy Batson, orphan who gets the ability to become a superhero with mythical powers–and give it a modern update without losing its basic charm. The same applies to the classic Shazam archivillain, Dr. Sivana. And that was it, a classic tale of good and evil that wowed kids back in the 1940’s and still has the power to do so now. There were also no shortage of Easter Eggs–tigers and crocodiles and worms-for those of us who know the comic, without it getting messy or confusing for those who don’t. Not a blockbuster, the movie’s box office is still doing well enough to be talking sequel. 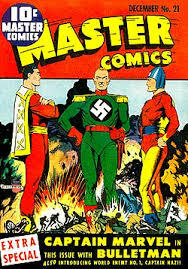 While we are certainly happy with the thought of The Rock as Black Adam, we would really like to see Jewdar’s favorite Shazam villain of all time–certainly in this day and age, there’s got to be some way to introduce Captain Nazi?